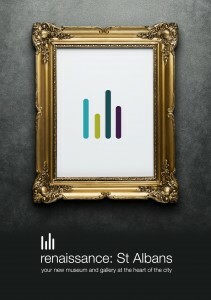 St Albans Museums and Galleries Trust, in partnership with St Albans Museums and the University of Hertfordshire, have launched the “renaissance: St Albans” project. This campaign is to realise the once in a lifetime opportunity to develop an exceptional new museum and gallery of national and international significance. The new museum and gallery will be located in the city centre Grade II* Town Hall. Find out more here. 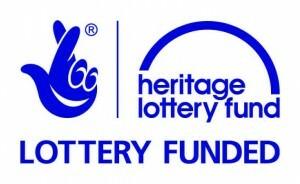 In July 2013 the St Albans Museums and Galleries Trust received £10,000 from the Heritage Lottery Fund (“HLF”) for their project “enhancing fundraising for the future”. A fundraising consultant was commissioned to help the Trust develop their knowledge, skills and confidence to achieve a step change in their ability to attract investment and donations from individuals and companies to support the plans for the museums and wider culture and heritage. The money was awarded through the HLF’s Catalyst programme. The scheme is designed to help organisations diversify their income streams, attract significantly more funding by increasing their fundraising potential and help them to develop and explore innovative approaches to securing private donations. During excavations in Verulamium Park in the 1930’s Sir Mortimer & Tessa Wheeler uncovered the 1800 year old hypocaust and its covering mosaic floor. The Trust raised over £100,000 (10% of the total cost) towards a new building (replacing the rather dilapidated and unsuitable existing building) to house the Hypocaust and mosaic floor. Part of the Fundraising effort was the very popular “Footsteps in Time” appeal to local residents and school parties visiting the Museum and Hypocaust. 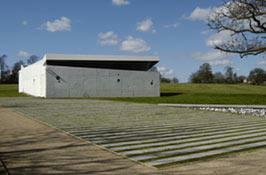 The new building was opened in 2005 and visitor numbers to the Hypocaust have increased as a result. Many visitors being attracted by the noteworthy nature of the building. Verulamium Museum was opened in 1939 following the excavations carried out by Mortimer Wheeler and his wife Tessa Wheeler. A new wing was added in 1962. The Museum houses the large collection of finds excavated from the site at that time, in addition to more recent significant discoveries. The Museum is noted, in particular, for housing one of the finest collections of large and colourful mosaics in Britain. In 1998 the Trust raised £165,000 towards the Verulamium Museum extension, including, workshops, a colonnade and a new rotunda entrance, finally providing the Museum with an entrance worthy of the collection within. In April 2012 the Trust gave £6,000 to St Albans Museums for the purchase of a new display case. This is currently being used in the Museum of St Albans. In October 2013 the Trust gave £500 to St Albans Museums to help with the purchase of a mosaic table that is used by visitors to the Verulamium Museum. In May 2012 the Trust worked with St Albans Museums to hold a Saxon re-enactment weekend in Verulamium Park. The event was organised to commemorate the 1000th anniversary of the first written recorded use of the word “Hertfordshire” in the Anglo Saxon Chronicle. The Trust obtained sponsorship from local businesses, held a collection at the event and provided volunteers over the weekend. The Trust sponsors an art prize at the Eastern Approaches exhibition. 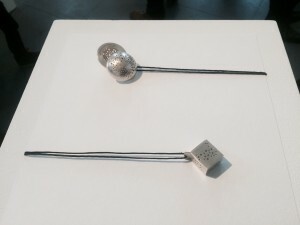 The winner of the 2014 St Albans Museums and Galleries Trust prize was Katy Gillam-Hull. The winner of the 2013 St Albans Museums and Galleries Trust prize was Marshall Colman. 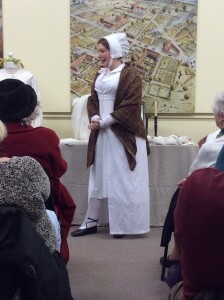 We support St Albans Museums by sponsoring presentations from specialists such as costume historians and re-enactors. In the past these have included an afternoon revealing the wardrobe of ladies on the Titanic, Jane Austen’s Christmas, Dicken’s Christmas (including readings from his works), 200 Years of Royal Brides and Jane Eyre.